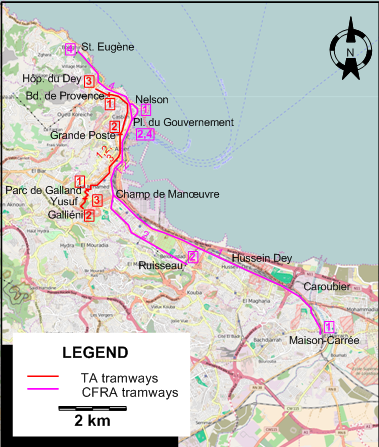 The Algiers tram network immediately after the Second World War. City trams (first-generation): (steam:) 21 Sept. 1894 - 1935; (electric): 14 Apr. 1898 - 12 Sept. 1959. City trams (second-generation): 8 May 2011 - today. Métro: 1 Nov. 2011 - today. 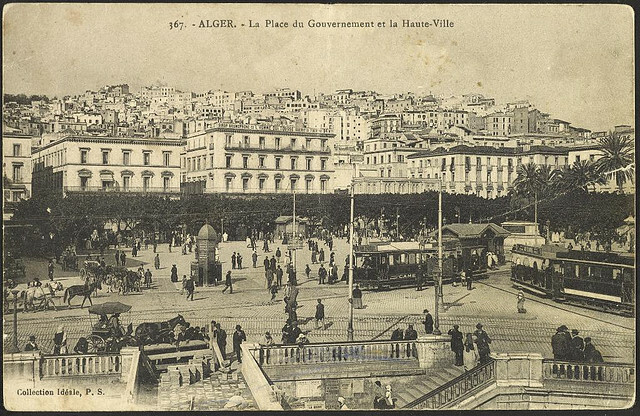 Attal, P.-E. "Tramways et métros d'Alger, d'hier à aujourd'hui", Historail, July 2015, No.34, p.54-69. "Black gold pays for Algerian LRT development", Tramways & Urban Transit, Apr. 2014 (77: 916), p.152-155.